In the three short years since its opening, the Warner Brother's Studio Tour: The Making of Harry Potter has quickly become one of London's most visited tourist attractions. 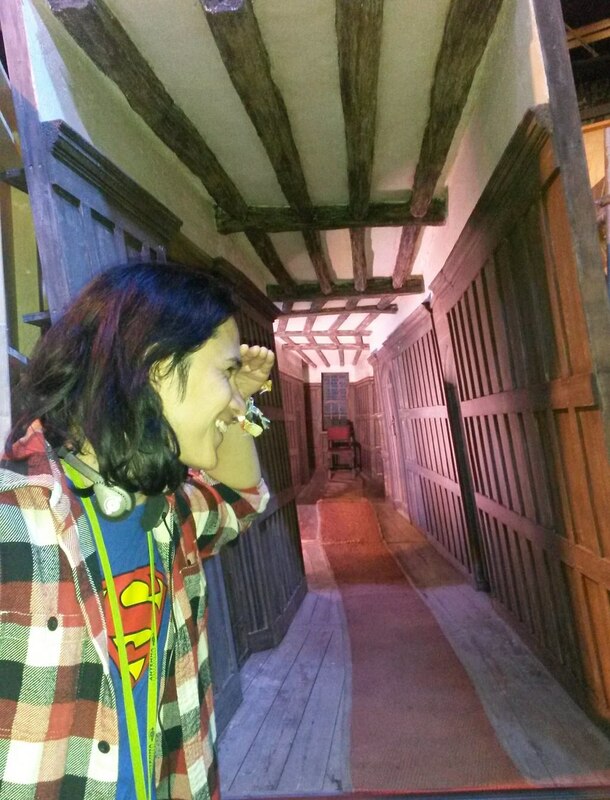 Located at Leavesdon Studios, one of the few still working film studios left in the UK, the exhibition pulls in a whopping 5000 visitors a day, and is a delight for children and adults alike (our tour was almost fully made up of over-excited adult couples); a testament to the universality of the Harry Potter film franchise. 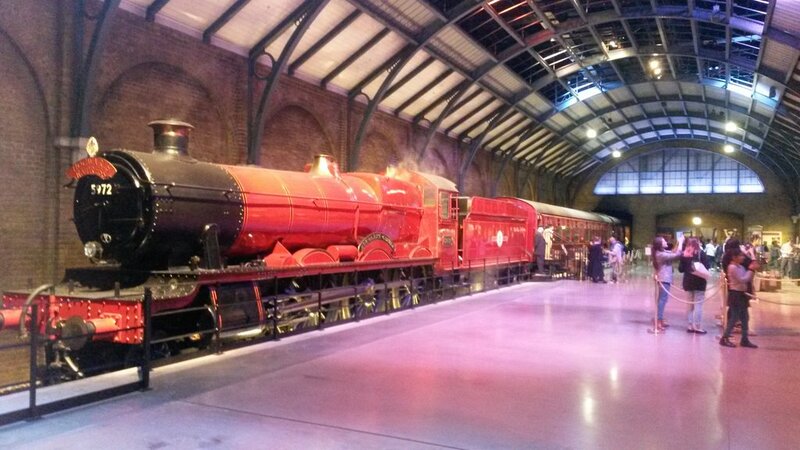 It's a must-see for any Harry Potter fan, but in case you need any more convincing, here are the top 11 reasons you must go. Just the weekend before visiting the Warner Brother's studio I paid a visit to Hampton Court Palace. Now this real Tudor palace is known for its genuinely stunning Great Hall, but seeing that took nothing away from the Hogwarts Great Hall. If anything the comparison made it look better. With all its intricate detail, Hogwarts really does give Hampton Court's a run for its money. The set is hardly a cheap knock off. It uses genuine flagstone flooring, heavy wooden furniture and artificially aged, hand-painted, medievalesque designs on the walls. It's also bigger (and thus grander, right?) than Hampton Court, and has floating candles... or at least lights in candlesticks held up by very thin thread. The only thing the Hogwarts Great Hall misses out on is a cool intricate ceiling, but, you know, it needs set lights and stuff. That cool rising office is very much real - hand-built to so much detail, complete with intricate telescope up at the top and it even has the Pensieve. There's lots of information on how it developed from the dusty old thing from the first film to the grand astronomer's retreat by his death in The Half-Blood Prince. 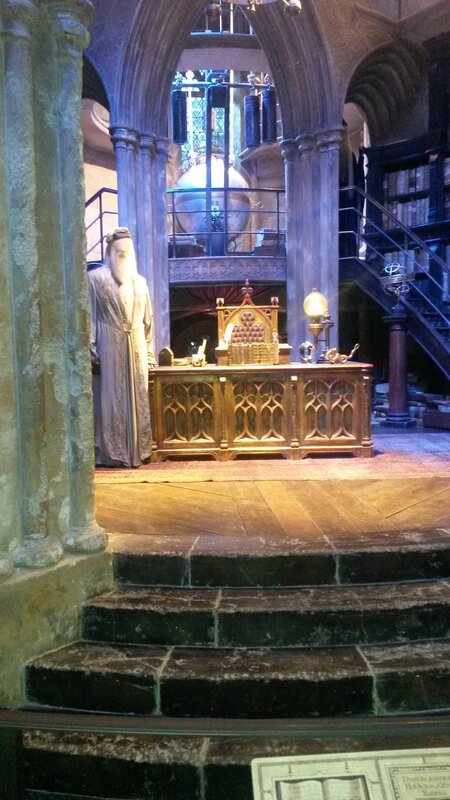 They even built in the little area where Harry hid during that heart-breaking scene. Probably the coolest thing you'll learn here is that so much of what you see in the Harry Potter films was built by hand, rather than fed into a computer. However, there are certain aspects that just can't be done any other way - the broomstick scenes for instance. The epic broomstick-in-flight scenes are created through green screening: literally where an actor is filmed in front of a plain green screen so an animated background scene can be added via computer later. 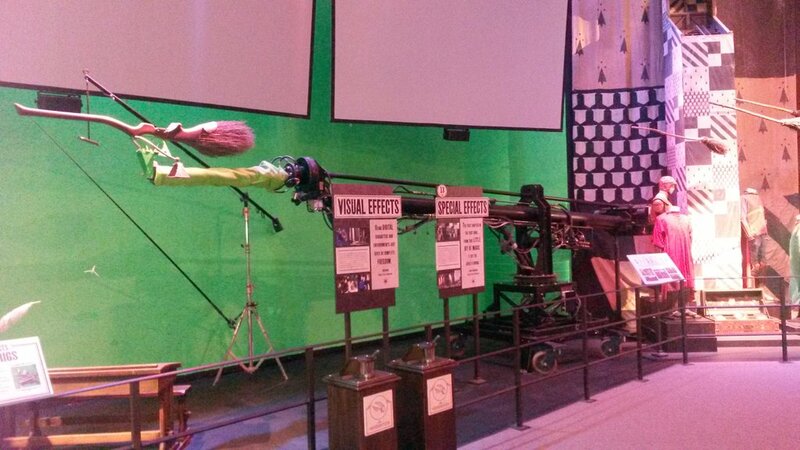 At The Making of Harry Potter, you have the opportunity to capture your own broomstick green screen moment. And yes, you do get to hop on an actual broomstick to do it. They also have their very own Defence Against the Dark Arts instructors at the Warner Brother's Studio. They'll teach you all the proper actions and movements to cast those spells and charms and defend yourselves against those pesky Death Eaters (of which I might be one - shock horror - more on that later). It's actually a lot like fencing, for any of you that have ever wielded a sports sword. 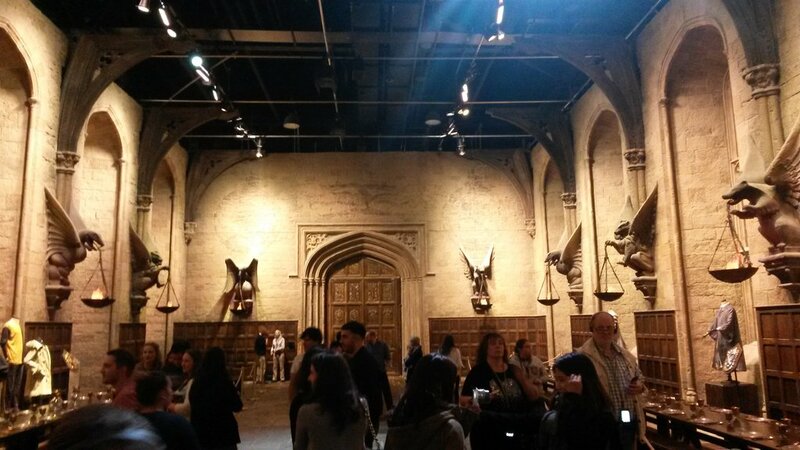 I don't know about you, but in my mind there was no way that epic interior of the Ministry of Magic ever existed. How wrong was I? Not only did they build that entire grand hall (sadly only parts of it remain now, but at the time it filled the entire studio), but they actually filmed that entire magic battle between Dumbledore and Voldemort live too, complete with live special effects. Incredible stuff, and especially nostalgic for the London dwellers (based on those old green Victorian office blocks). This is probably my own personal highlight. Originally the intention was to find an old British street, like The Shambles in York or The Lanes in Brighton, to act as this marvellous market of magic, but nothing quite fit the bill. So, instead, they decided to build it from scratch. 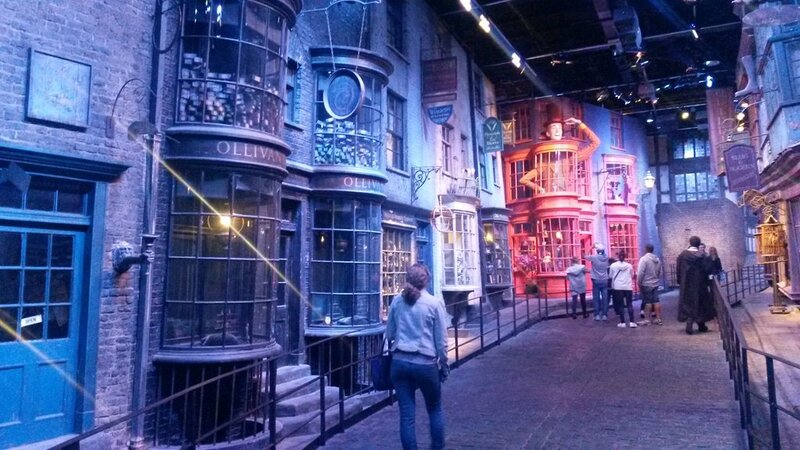 And really - and I can't stress this enough - Diagon Alley looks incredible. The detail that went into the exteriors and interior window displays are remarkable - the Weasleys' Wizard Wheezes with working figurehead is a particular highlight. And it's pretty tasty, even if it is made rather weirdly - but I guess that's all part of the package. Has something of a cream soda flavour to it. Give it a go. If you want to see an epic feat in mad handcrafting skill make sure you dedicate enough time to Hogwarts Castle at the end of the exhibition. All those sweeping shots of the castle were created using this scale model with minimum CGI input. This towering construct will stay with you forever. I know it seems I'm really labouring this point, but they rarely did cheat. This film is a tour de force in set building, in costume design and in animatronics. 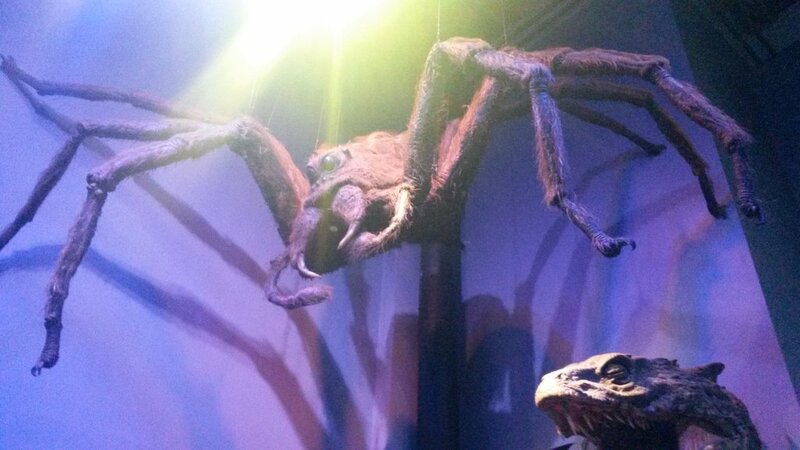 All those creatures were created in the real world, whether they are the masks and body suits of the goblins or the mechanised monsters of Aragog. 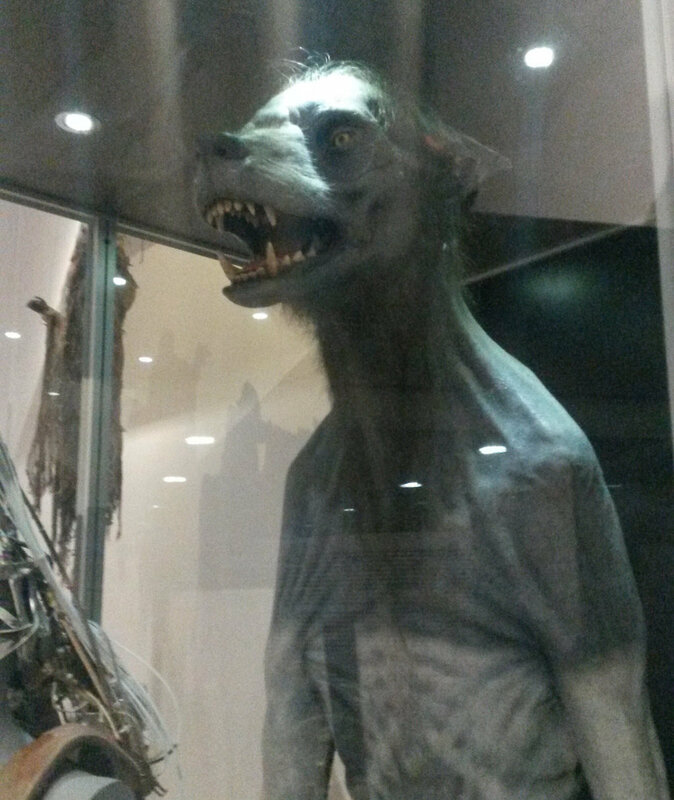 They even created Professor Lupin's werewolf (though the use of that didn't go quite to plan), which is huge and really very cool. If you like old-fashioned film making, you're going to love this tour. At first I thought this was actually filmed at King's Cross and was initially disappointed to learn that it was just a set. All this changed when I reached the place. I don't know, I guess I'm a bit of a train geek, but seeing the Hogwarts Express (which is basically a reconstituted GWR 4900 Class) kind of made me squeal inside. You can take the tour of the carriages and get that lovely old train smell. Oh, and you can get photos pushing your trolley into the wall on the platform floor too. That's right! Whichever want you want, from Harry's original to Voldemort's ugly horn thing, all the way to the Elder Wand, they are all here for the picking. You can even get a cool little stand to display them in. 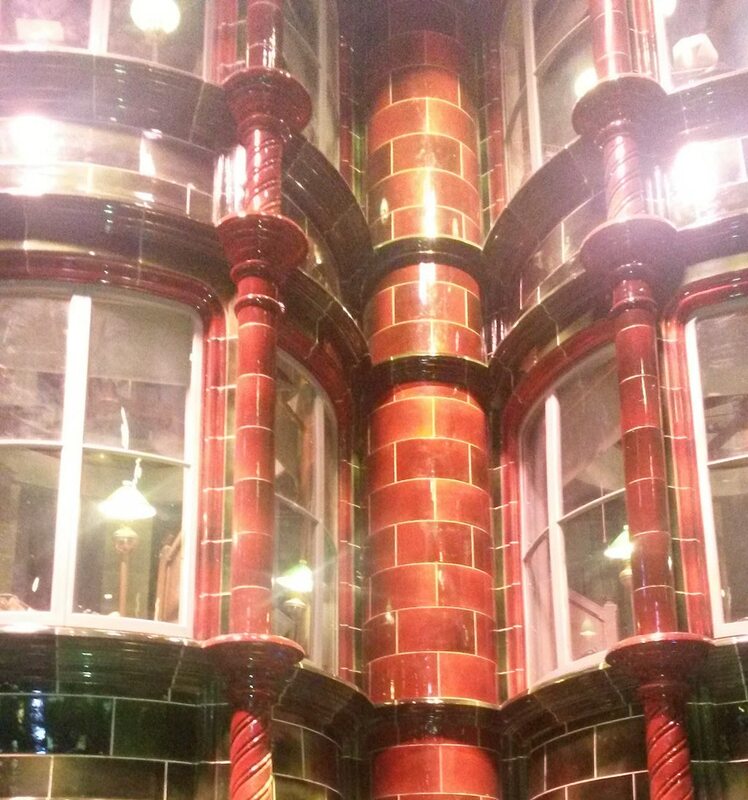 In fact, the whole gift shop looks incredible, full of the same chaotic joy that the shops in Diagon Alley have. My companion and I decided to get a pair of hoodies based on our Pottermore sorting hat quiz results. She got Gryffindor and I got Slytherin. We should have got a couple of wands too. Duel? Leavesden is located just outside London. Nearest station is Watford Junction, just a short 20 minute train journey from London Euston. Shuttle buses run from Watford Junction and cost £2 return. Need somewhere to stay? Check out our selection of great budget accommodation close to Euston, ranging from cheap hostels to grand hotels. 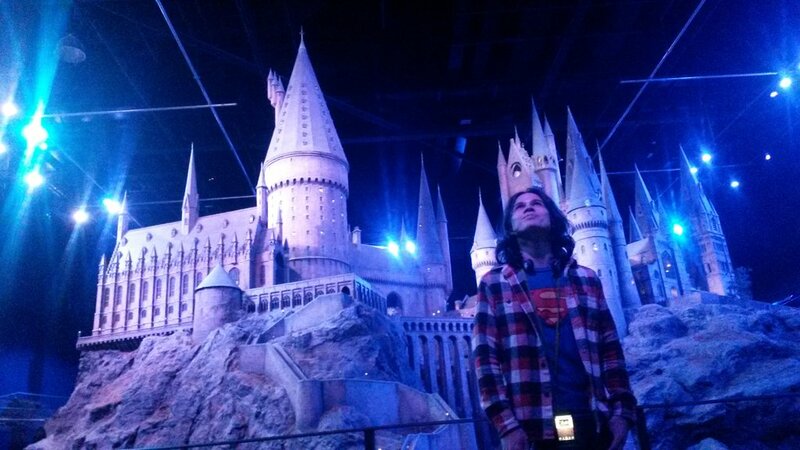 Buy tickets to Warner Brother's Studio Your: The Making of Harry Potter with Expedia.